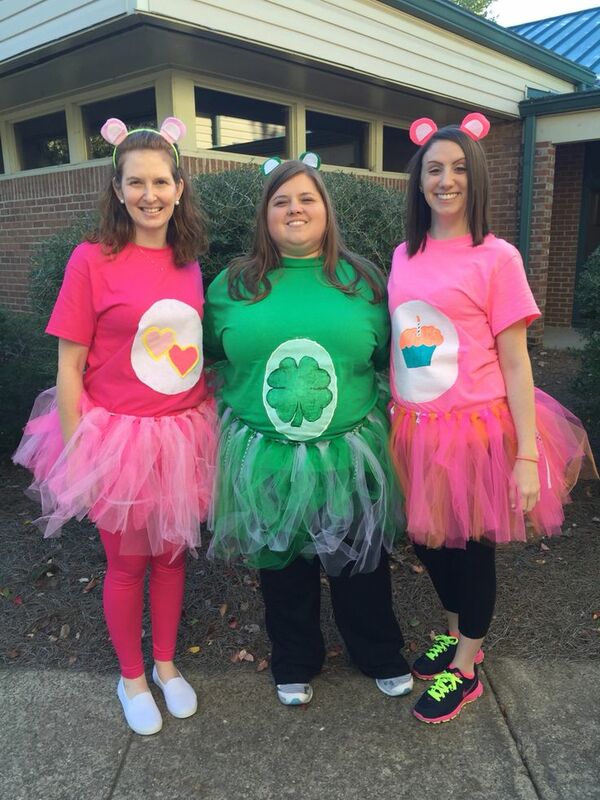 The Care Bears are different colored bears who live in the Kingdom of Caring, in the land of Care-a-lot. They are sort of like guardian angels who help little children during their childhood. Each Care Bear has a specific job to do and that can be seen on their belly badges. 1 Hot Pink t-Shirt Let’s take Cheer Bear as an example! 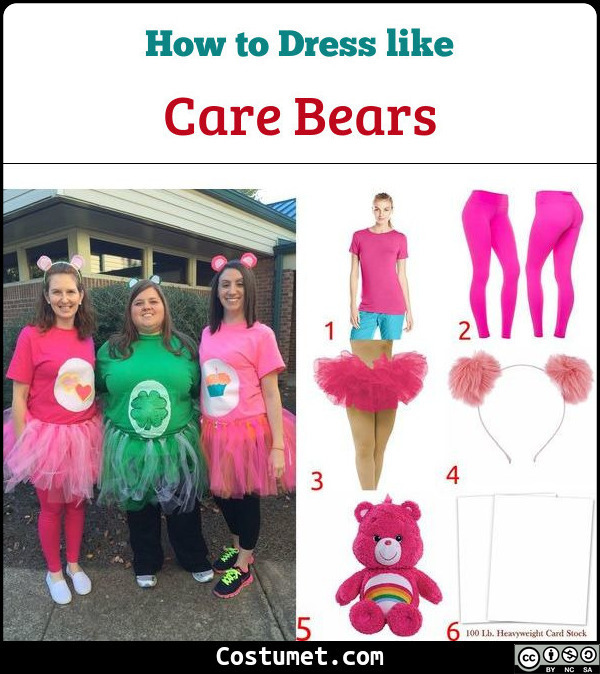 Wear a plain hot pink t-shirt as the base of your costume. 2 Hot Pink Leggings Pair up your hot pink shirt with hot pink leggings. 3 Hot Pink Tutu Level up your costume with a hot pink tutu. 4 Pink Pompom Ears Headband Don’t forget your bear ears! Wear a pink pompom headband. 5 Care Bear Plush Toy Make sure to bring along Cheer Bear with you as well. 6 White Cardstock Cut this white cardstock into a circle for the base of your belly badge. 7 Assorted Acrylic Paint Draw a rainbow to create Cheer Bear’s belly badge. 1 Wonderheart Bear Girls Costume Set Turn into Wonderheart Bear with this costume set. 2 Grumpy Bear Adults Costume Set Ahh, the perfect adult Care Bear costume set: Grumpy Bear. 3 Good Luck Bear Adult Onesie Costume Set Try your luck and transform into Good Luck Bear with this costume set. 4 Share Bear Adult Onesie Costume Set Share the happiness and look like Share Bear with this costume set. 5 Cheer Bear Adult Onesie Costume Set Keep on spreading the joy Cheer Bear with this costume set. 6 Funshine Bear Womens Deluxe Costume Set Look on the bright side and become Funshine Bear for the day with this costume set. 7 Bedtime Bear Womens Deluxe Costume Set This costume set is another relatable Care Bear for adults: Bedtime Bear. The Care Bears started out as characters painted for a series of greeting cards back in 1981. The artist, Elena Kucharik, used these bears for cards from American Greetings. Due to the characters’ huge success, they can now be seen in TV programs, films, and toys.